Synthetic biology is a new research field that emerged several years ago. Its appearance is based on big advances in key enabling technologies like DNA synthesis and molecular cloning (Gibson et al., 2008, 2009; Hoover and Lubkowski, 2002; Quan et al., 2011; Shao et al., 2009). These new techniques made possible to clone complete metabolic pathways or signaling cascades from one organism to another. These possibilities allowed scientists to rethink the applications in Biotechnology. Synthetic biology is about the engineering of complex systems, which either can produce a certain metabolite as a product or act like electronic circuits making decision based on a variable input (Andrianantoandro et al., 2006). Synthetic biology is not limited to constructing metabolic pathways but also includes engineering cells like electronic devices. For this purpose genetic circuits are designed and cloned into cells. Genetic circuits represent a combination of genes and their products (mRNA, proteins etc.) which interact with each other to perform basic logic functions. These genetic circuits work like electronic circuits and process a certain input signal (an environmental condition or a chemical substance) to create an output from it (a protein or small molecule). An engineered bacterium or virus with a genetic circuit integrated, which responds specifically to a pathogen, would be a living pill or smart drug. A smart drug only releases or produces an active compound when encountering a pathogen or a specific signal indicating the target of its action (Gupta et al., 2013; Saeidi et al., 2011; Wu et al., 2013). 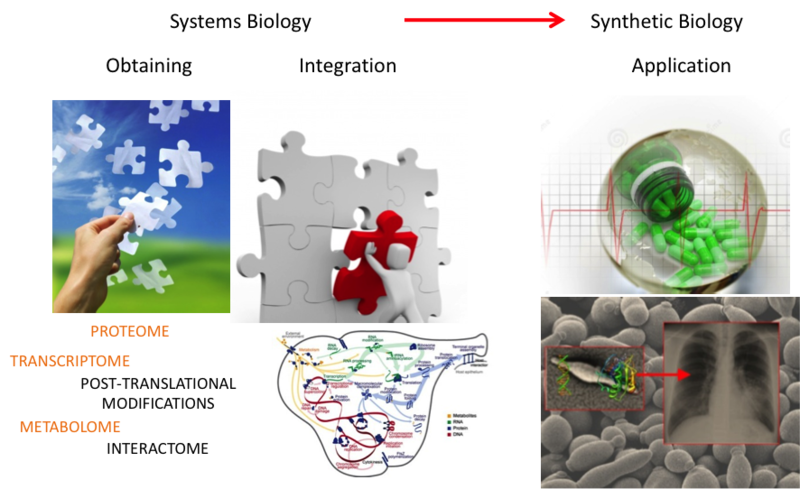 · Complete metabolic networks can be integrated, which are able to synthesize complex molecules upon response to a pathogen. · Complex detector modules can be designed to sense the concentration of biomarkers and respond (Wu et al., 2013). · The risk of integration in the host genome is extremely low. · In most cases antibiotics are sufficient as kill switch to stop uncontrolled bacterial proliferation. · Easy and cheap to culture. · Cell wall less and therefore does not generate a strong immune response. · Susceptible to antibiotics for the easy eradication after the end of the treatment. · It has a “simple” metabolic and genetic network, which reduces the risk of unwanted interference of the engineered network. · It has no cell wall and extensive studies on the factor involved in pathogenicity. It appears feasible to design a non-pathogenic strain. · It has a natural low rate of homologous recombination reducing the risk of uncontrolled reversion of the engineered organism to wild type. · It uses the codon UGA to encode for tryptophan, while most other organisms use UGA as a stop codon. Reducing the risk of uncontrolled spread of the engineered parts to other organisms. Quantitative understanding of a living system and its engineering as a cellular organelle. 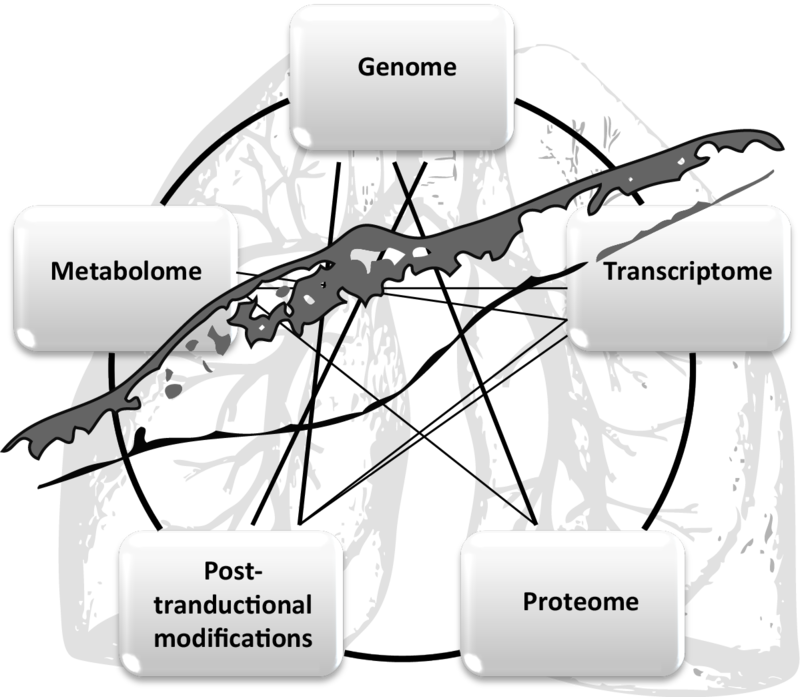 The intrinsic genetic and metabolic network of M. pneumoniae is comparably well understood (Güell et al., 2009; Karr et al., 2012; Kühner et al., 2009; Maier et al., 2011, 2013; Wodke et al., 2013; Yus et al., 2009). In theory this will allow one day to design genetic networks that will work ad hoc or at least with less trial and error experiments than usually necessary in E. coli, as there is less unwanted interference with the host genetic network. The group of Covert et al. made already a whole cell computational model of Mycoplasma genitalium which has smaller genome than M. pneumoniae (Karr et al., 2012). Based on this model theoretical assumptions about the impact and behavior of synthetic gene networks can be made (Purcell et al., 2013). While the current existing model is a patchwork of many other smaller models and the predictions and implications for engineering are rather limited, it is reasonable to assume that in the near future the “in silico” modeling will help to efficiently design and implement genetic circuits. Efforts towards a complete model of M. pneumoniae are currently made in our grup in collaboration with Marcus Covert’s lab. M. pneumoniae shows a very low rate of recombination (Krishnakumar et al., 2010)and horizontal gene transfer (Pascal Sirand-Pugnet, 2007). This feature is potentially based in a mutation in the gene RecU (Sluijter et al., 2010). The low recombination rate is an inconvenience during the engineering process as incorporation of exogenous genetic parts by homologous recombination is not feasible. However, this property could be advantageous once an engineered strain is obtained since reversions to a wild type genetic background by recombination should occur at a very low rate. M. pneumoniae uses UGA codon for tryptophan instead of stop, making difficult the recombinant expression of mycoplasma proteins in other bacteria. This can be seen as a bioconfinement technology (Sang et al., 2013). While this feature hinders an inter species transfer of functional parts it is of course not hindering a transfer in between different Mycoplasma species or other species that use the UGA as a tryptophan codon. However, while providing many theoretical advantages as a chassis in synthetic biology there are also numerous drawbacks associated with the use of M. pneumoniae. The main drawbacks are its slow growth rate and the underdeveloped genetic tools. The lacking genetic tools make the genetic engineering in M. pneumoniae, a very work intensive and time consuming process. Despite M. pneumoniae being a gram positive pathogen, it lacks a cell wall and the associated response of the innate immune system. It causes atypical pneumonia and is usually characterized by mild symptoms (Dugdale, 2013). Furthermore the main virulence factors are relative well understood (Ansarin et al., 2011; Hallamaa et al., 2008; Hansen et al., 1981; Johnson et al., 2011; Kannan and Baseman, 2006; Kannan et al., 2011; Krause et al., 1982; Shimizu et al., 2011). It has already been shown that certain mutants are unable to cause a sustained infection and cause only a significantly reduced immune response (Hansen et al., 1981; Krause et al., 1982; Shimizu et al., 2011). Based on this knowledge it is possible to engineer a non-pathogenic strain that could be used later as a chassis for therapeutic applications. An interesting finding with dual use was recently reported. The M .pneumoniae strain M129 has no functional arginine deiminase pathway (Barile et al., 1966). However Rechnitzer et al., (2013)showed that once M. pneumoniae M129 is complemented with a functional arginine deiminase pathway it becomes toxic to mammalian A549 cells. This toxicity can be a potential problem in therapeutic applications requiring persistence of M. pneumoniae in the host and needs to be knocked out. However, if rigorously controlled this toxicity could also serve as a mechanism to attack cancer cells in a potential anticancer seek and destroy applications. For obtaining this non-pathogenic strain several genes related with virulence should be depleted and as previously described the genetic tools in M. penumoniae are limited. We are optimizing the genome transplantation technique in collaboration with Carole’s Latrige group in order to use the recombination system of yeast to manipulate M. pneumoniae genome. Copyright © 2011 Centre for Genomics Regulation, All rights reserved.